Your HVAC system is responsible for delivering optimum comfort year-round. If you want to create a healthy, environmentally friendly living space, start with your air. 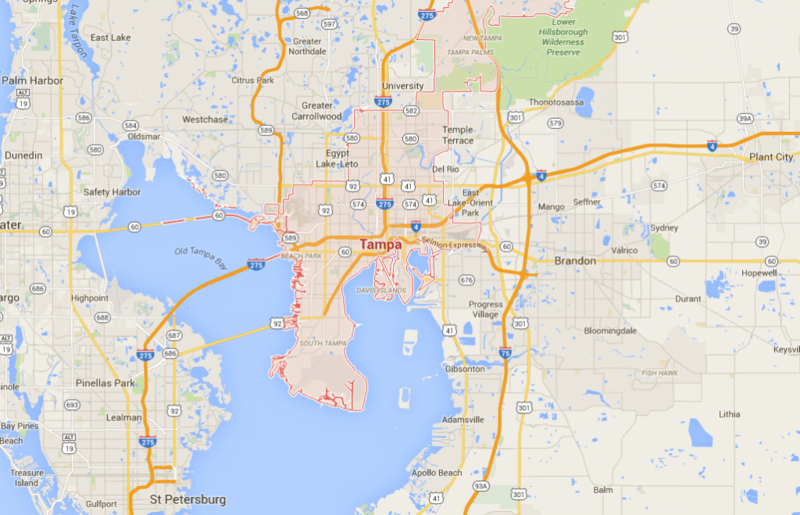 Modernize is here for you if HVAC replacement is in your future and you are wanting to find HVAC in Tampa, FL. We have helped homeowners all over the U.S. find the best local costs for cooling and HVAC unit services in their area. It is always smart to compare at least four different price quotes from contractors to make sure you are getting the best local prices on installation services. Get free quotes from the best hvac repair contractors in Tampa, FL, ready to complete your project. Established in 2004. Much of our work is done through several… More	Established in 2004. Much of our work is done through several warranty companies. Sunny days and cool nights are two of the things that continue to keep Tampa a popular location for new and established residents. While temperatures are friendly, most of the time, there are occasions when searing heat and freezing temperatures need to be offset by an appropriately sized and energy efficient HVAC system. With its prime location on Florida’s west coast and bordered by the Gulf of Mexico and Tampa Bay, residents enjoy exceptional tropical weather. While humidity is high with a comfort level of 27 versus 44 set as the U.S. average, year-round temperatures remain relatively comfortable. During the hottest summer months, temperatures are in the 90-degree range while winter months, on average, are in the low 50-degree range. Overall, the city experiences 238 sun-filled days per year with an average rainfall of 51.2 inches. This is a critical decision in terms of system efficiency. A system that is too small to cool and heat the entire property results in higher utility bills, comfort levels not being at the maximum, and overwork of the system in an attempt to heat and cool the home. This can lead to early failure of the system and high repair and replacement costs. Depending on the type, size, and manufacturer, a new HVAC system can run close to $5,000, or more. If duct work is also needed, this will most likely be a separate cost. If your property currently has duct work, it’s highly recommended that it be inspected by a professional HVAC specialist to ensure it is up to the task of accommodating a new system. It may be necessary to replace the current duct system which may increase the initial investment. Property owners do have options when it comes to budgeting such as using the equity in the property for a line of credit, taking out a personal secured or unsecured loan, a payment plan with the retailer, or tapping into available programs. These programs offer a variety of options for incentives, refunds, and tax credits. At the website for Database of State Incentives for Renewables & Efficiency, just type in your zip code to see a list of programs available for Tampa. The more you know about HVAC systems, the more questions you can ask the sales representative that will ensure you’re buying what you need. This short list of questions provides some key areas that require informed answers by the sales rep and/or the contractor. Do I need to replace the entire system? Can any part of the current system be used with a new system to save me money? Keep in mind if you’re having a new outdoor compressor installed, it’s a good idea to upgrade the indoor air handler. Expecting old equipment to function properly with new equipment won’t be as efficient. Also, old equipment has a lesser life time and at some point, will need to be replaced. The duct work in my home is 20 years old, for example. What do you suggest I do? Note from above, the sales rep/contractor should recommend it be inspected. You can’t assume what is currently installed is in good shape. What type of system do you recommend? I currently have – share with the salesperson the type and size of your current system. Should I use the same size for the new system? Another thing to acquaint yourself with is the size HVAC you need according to the square footage of your property. This is something the salesperson should ask and then calculate to determine unit size. Do this yourself, beforehand, using this cost calculator. There are several types available suitable for large and small properties. What works for one size home may not be the best choice for another. A few of the HVAC systems on the market include heating and air conditioning split systems which require duct work, hybrid heat split system, ductless air split heating and AC system (does not require duct work) and a packaged heating and air conditioning system. You’ll see these ratings on the equipment label. SEER stands for Seasonal Energy Efficiency Ratio. The current minimum rating is 13 for new systems. HSPF stands for Heating Season Performance Factor which rates the efficiency of a heat pump. The current minimum standard is 7.7. Systems that go above and beyond the current minimum rating will be more expensive but over time, you will see a better ROI – return on investment. Two areas remain for HVAC installation: hiring a contractor and getting a permit. Hire a contractor with a verifiable license and insurance to ensure proper installation, compliance with city codes, and to maintain warranty requirements. Second, contact or visit the City of Tampa’s Municipal Office Building at 306 East Jackson Street, or call (813) 274-8211 about pulling a permit.